A beautiful shade of pink, would suit all ages. 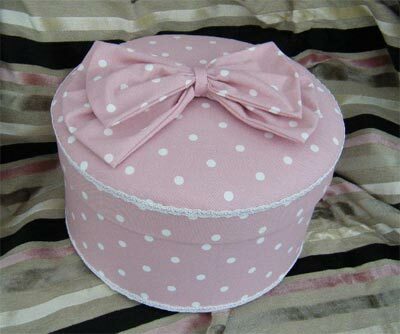 Very feminine - would be a lovely present for a new baby filled with useful things or an 18th birthday girl or a young 80th birthday gift! 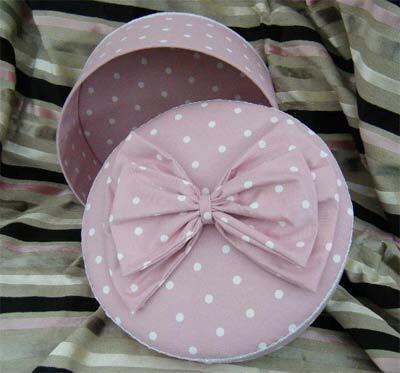 The fabric is known as "Dotty" and the dusky pink is covered all over with small white polka dots.